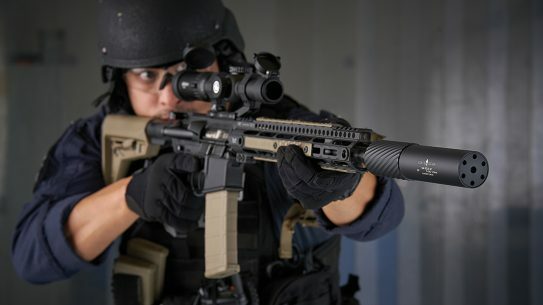 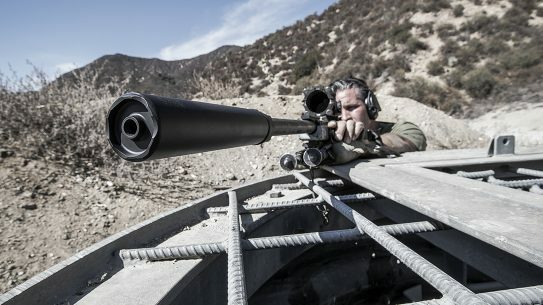 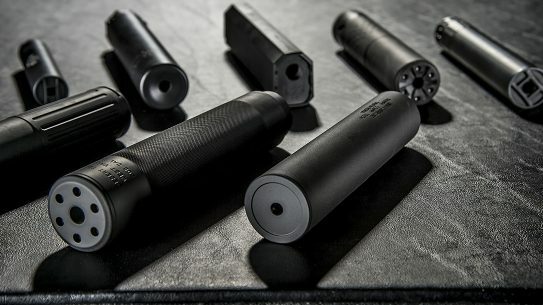 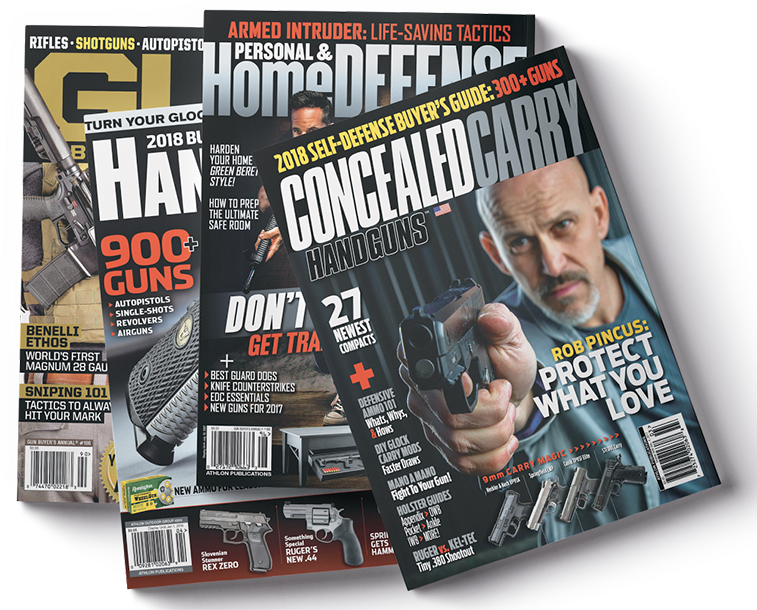 Rounding up 21 of the latest and greatest suppressors from Gemtech, SilencerCo, Daniel Defense, SureFire, Ruger, Wilson Combat and others. 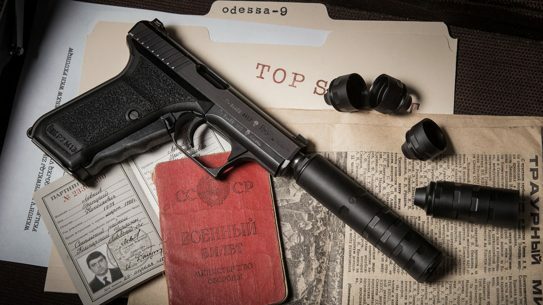 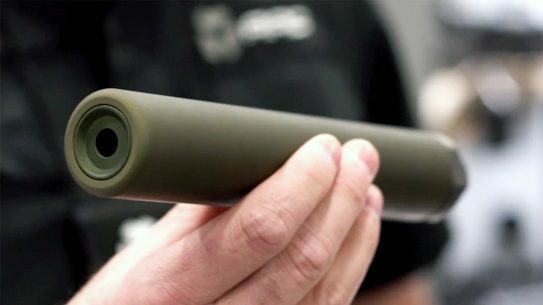 After weeks of social media teasing, Dead Air Armament has rolled out its Odessa-9 9mm suppressor, which comes with 11 different baffles. 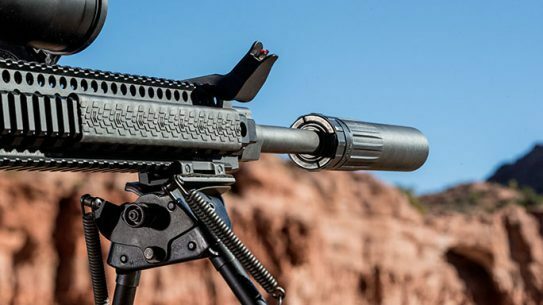 The CMMG DefCan suppressor series is aimed at all shooting needs, from home defenders to long-range shooters and hunters. 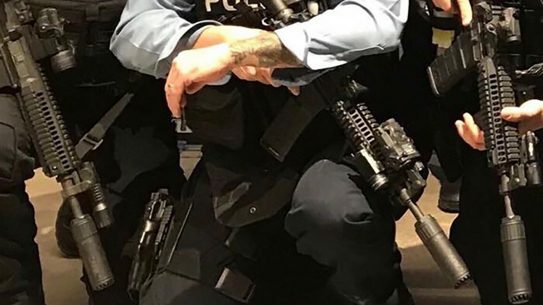 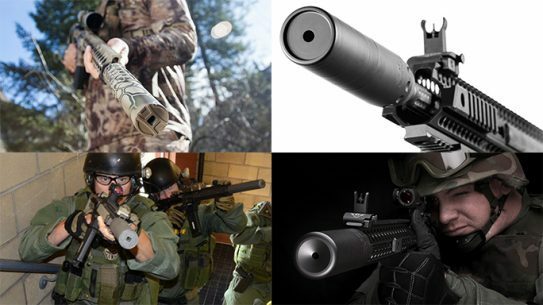 The Minneapolis Police Department issued two different cans from OSS Suppressors to its Metro SWAT Warrant and Sniper teams at Super Bowl 52. 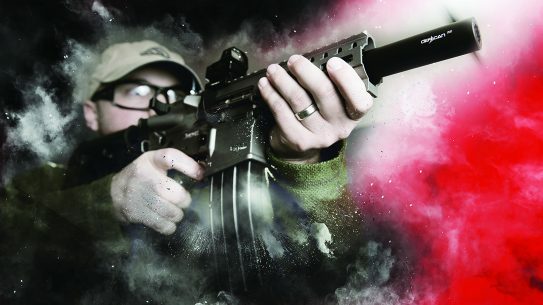 Mark Oliva, the public affairs manager of the National Shooting Sports Foundation, breaks down the facts and myths of the Hearing Protection Act. 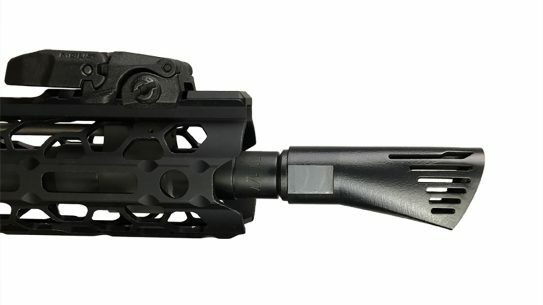 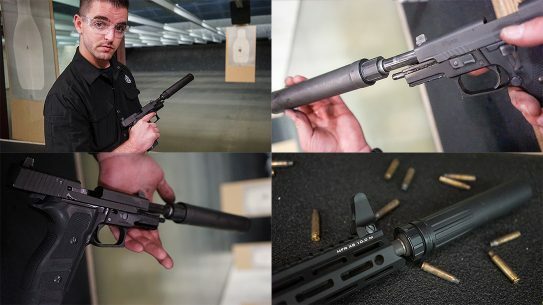 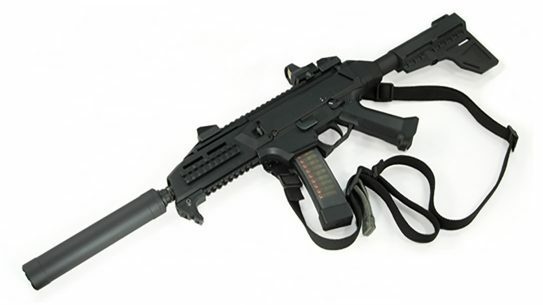 American Clandestine Equipment has rolled out the SMG9-SC suppressor, built to work with the CZ Scorpion Evo 3 S1/A1. 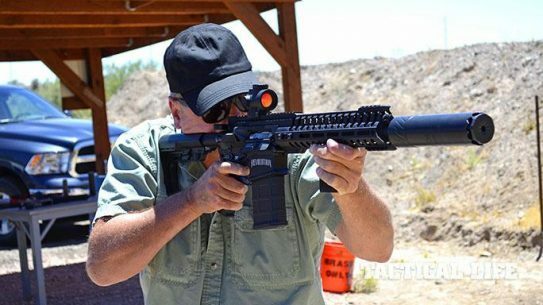 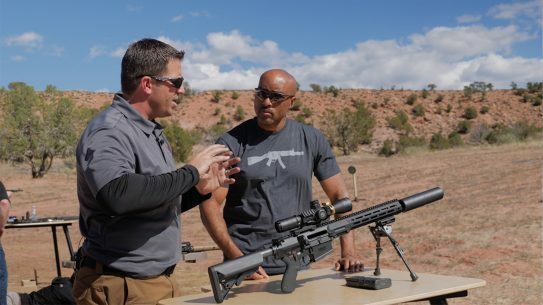 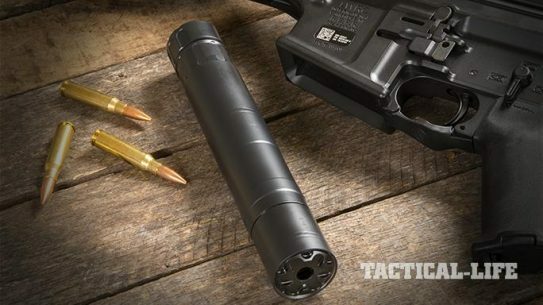 We full-auto tested NG2 Defense's innovative new MAXFLO 3D suppressor on Patriot Ordnance rifles to see if they truly eliminate backpressure. 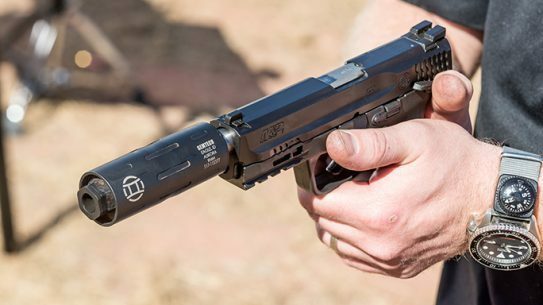 The original Aurora suppressor only saw a few units hit the commercial market, but the Gemtech Aurora II is getting a full release. 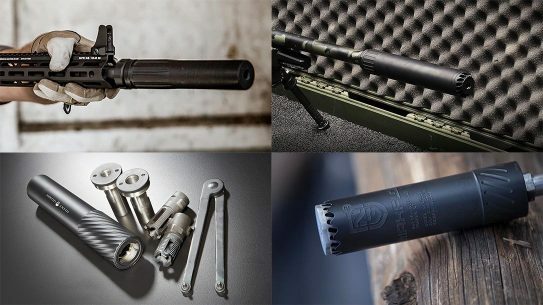 A look at 19 state-of-the-art sound suppressors by SilencerCo, Gemtech and more for hearing-safe hunting and plinking. 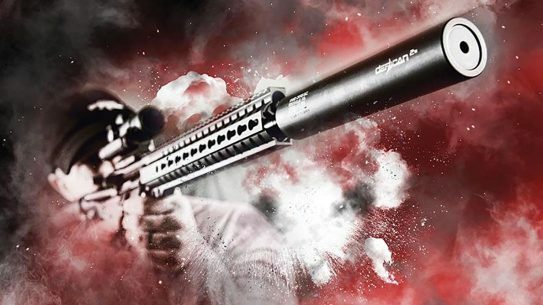 You can't go wrong with the accurate, modular and insanely durable Rugged Surge 7.62 suppressor.